Hooray! 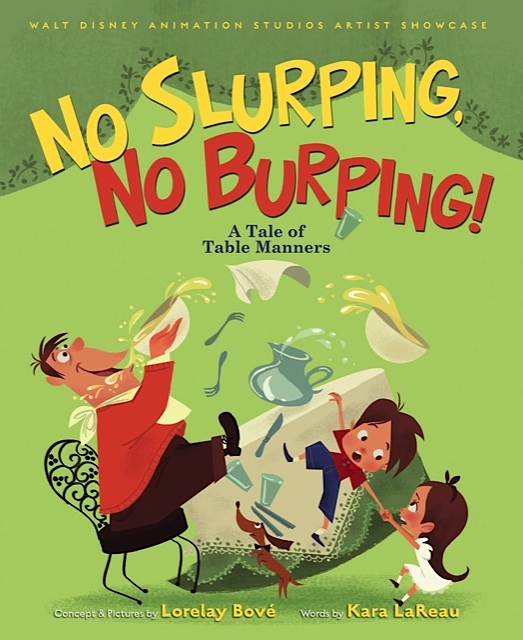 Today is the pub day of my latest book, No Slurping, No Burping! A Tale of Table Manners! I’m offering free signed bookplates to anyone who buys my book(s)! Just email me your address along with a photo of the book(s) you’ve bought, and I’ll send you the bookplates! Do you know how to set the table? If not, take a look at my handy place-setting diagram. Print it out, color it in, and stick it on your fridge — you’ll always have a guide handy at dinnertime! Want me to visit your library or classroom via Skype or FaceTime? I’m available for free 20-minute visits between 1:30-2:30pm EST (i.e. when my little one naps). I’ll read one of my books (you choose) and will answer any and all questions — about writing, table manners, publishing, wrangling a giant baby, et al. Contact me and we’ll work out the details. If you’re in Little Rhody this weekend, stop by my book launch party at Barrington Books on Sunday, March 9th at 11:30! Happy Book Day! I absolutely love the cover, Kara. Congratulations to you! Just sent an email to my daughters’ teachers! Would love to have you in my girls’ classroom. Just saw your book posted on Kidoinfo. Congratulations!